Have you ever had to jump through hoops to log into a desktop website because an app won’t let you copy the text on your phone? 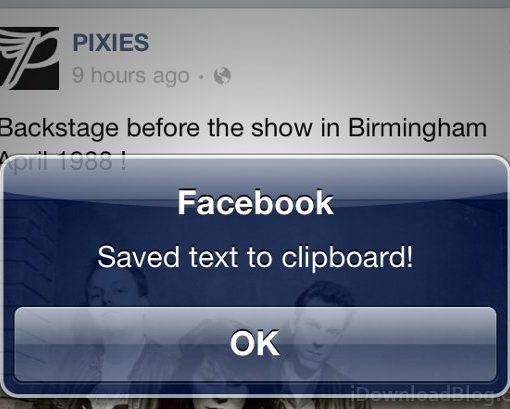 This should never happen, but for some unfathomable reason, major services like Facebook do not allow for copying text in-app (the Facebook app currently allows users to copy text from messages and comments, but not from status updates or posts). Do you hate it when you’re listening to music, and you can’t remember the name of the song you’re listening to? This might not seem like such a problem with your own music collection, but what if you have a streaming app running in the background? 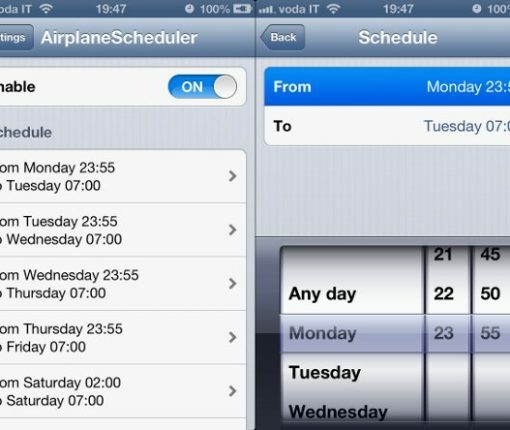 Airplane mode is a setting in iOS that allows users to disable wireless radios while the mode is active. This includes all cellular reception, Wi-Fi, GPS and Bluetooth (Wi-Fi and Bluetooth are initially disabled but can be re-enabled with Airplane mode still active). It’s intended to put the device in a state where it is safe to use on a plane, but some users have taken to the feature as a power-saving mode. Not sure what to do with your old iPhone, iPad, or iPod touch? Instead of throwing it out or selling it for a fraction of its original value, what if you could get some more use out of the device by turning it into an AirPlay streaming box? 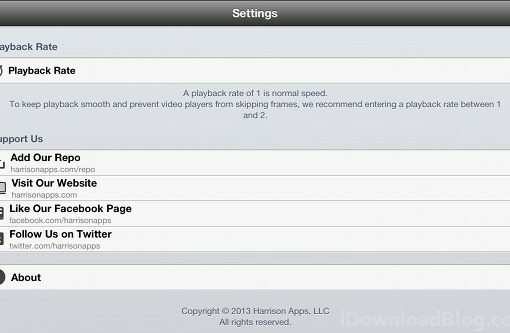 Ever wanted to speed up video playback on your iPhone, iPad, or iPod touch? While it’s not a thought that occurred to me, Harrison Apps (the developer behind Universal Video Downloader) says that their new tweak is great for speeding up recorded University lectures. I’m not sure how I feel about digital commitment devices. 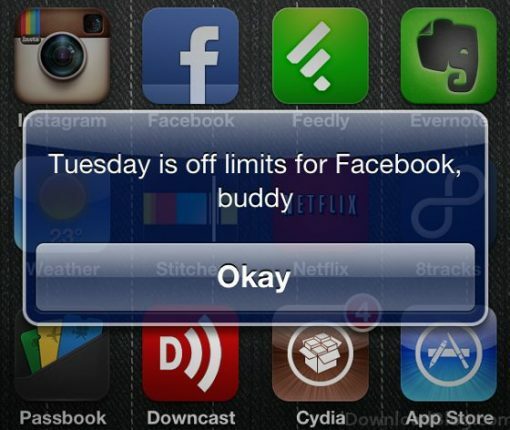 On the one hand, I’d like to believe that if I really didn’t want to open Facebook on my phone during work hours, I just wouldn’t open it. On the other hand, I know from personal experience that it isn’t always this easy. 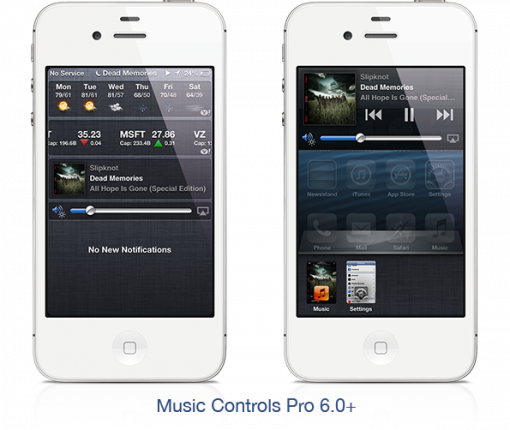 Since iOS 3.x, the most feature rich jailbreak apps for music was Music Controls Pro. If you wanted a custom control overlay for music, swipe controls, a remote server, and a host of other features, Music Controls Pro was the way to go. Unfortunately, the original version of Music Controls Pro is no longer compatible with iOS 6. As we’ve mentioned in the past, Flex is basically a Game Genie for the iPhone. While Flex can’t create new content, it can nullify lines of code, override return values, and mess with variable return values. 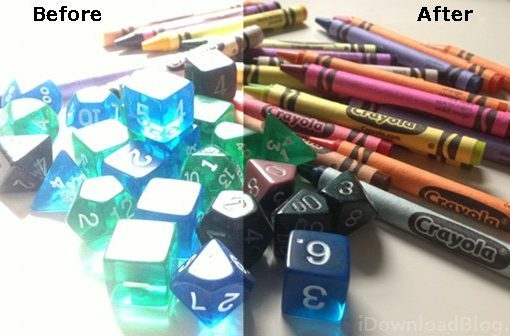 These can be used to prevent jailbreak detection, enable hidden features, hide interface elements in apps, and even, as you may expect, cheat in games. If you are an avid user of Twitter or Facebook, you likely see ‘pull to refresh’ as an essential part of the smart phone experience. So it’s surprising to see how slow Apple has been to bring the gesture to its internal apps. In iOS 6, Apple finally cued in and included their own implementation of Pull To Refresh in Mail. 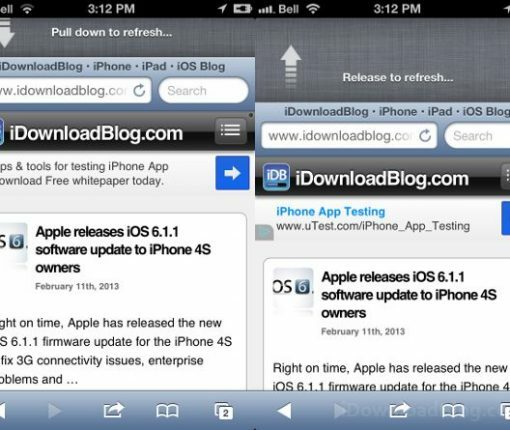 Unfortunately this hasn’t carried over to every one of Apple’s internet-enabled apps; Safari still lacks the feature. 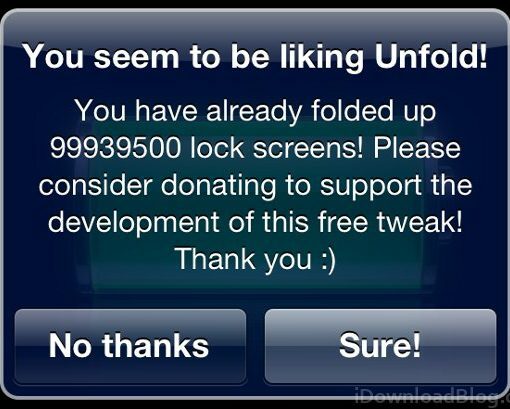 We’re not against developers making money from their tweaks, or pursuing alternative routes of funding, but having a piece of nag-ware on your phone without any option to disable it is a major annoyance.